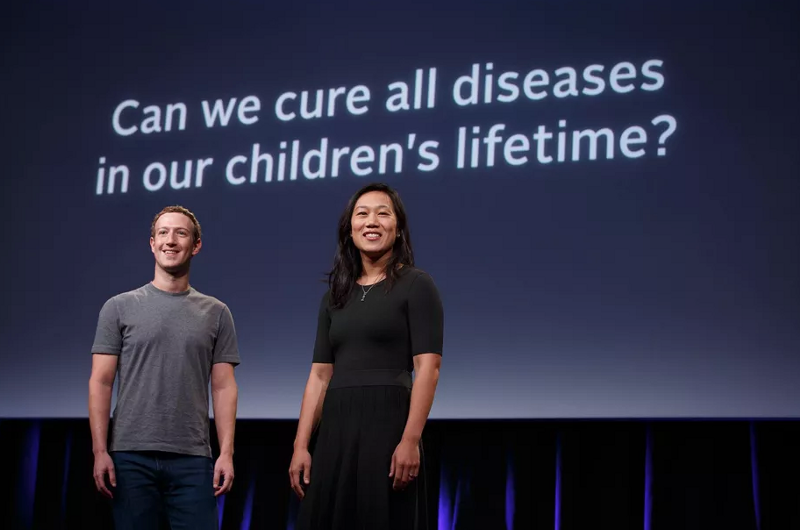 ZUCKERBERG AND CHAN VOW TO DELETE DISEASES | "Global Possibilities"
Can $3 billion cure everything? “Cure all diseases” is a pretty grand ambition, but no one ever accused Mark Zuckerberg of thinking small. This lofty goal is the aim of the Chan Zuckerberg Initiative: a $3 billion effort to conquer all the ailments that plague our lives, beginning with a $600 million research center in San Francisco called the Biohub, organized as a joint effort among Stanford, UCSF and UC-Berkeley (The Verge). Big-buck philanthropic moonshots have a mixed track record: Zuckerberg himself stumbled earlier in his career when he pumped $100 million into Newark’s schools without thinking things through carefully enough. Older and perhaps wiser, Zuckerberg this time around is counseling patience: He and his spouse, Priscilla Chan, aim to eliminate disease in their children’s lifetime, so they’re giving themselves some decades. Zuckerberg isn’t the only big name out there promising health breakthroughs: Joe Biden is leading a national charge on cancer, in all its forms, and Microsoft is touting a research effort to learn how to reprogram cancer cells within 10 years. Let a thousand basic-research gardens bloom—particularly when they make their findings open and public. The company that makes the machines that read your DNA. If you have ever had your DNA information analyzed, the devices that performed the test were probably made by Illumina — a $25 billion biotech giant profiled in Fast Company. Illumina has brought the cost of gene sequencing down from hundreds of millions of dollars to mere thousands today; the pace outruns Moore’s Law, the famous principle that has governed progress in computing. Illumina also has spun out two high-profile startups: Helix, which is trying to build an app store for gene-sequencing tools, and Grail Bio, which is developing cancer-screening tests. (Read NewCo editor-in-chief John Battelle’s interview with Grail CEO Jeff Huber here.) But now Illumina’s customers, the companies that buy its equipment, fear that it might try to compete with them. That leaves Illumina trying to figure out how to grow an ecosystem in which it can prosper along with those customers. Of course, it’s a lot easier to resolve such dilemmas when markets are this new, and growing this fast. Another day, another data breach. Yahoo is expected today to confirm reports from last month that hundreds of millions of its users had their data compromised (Recode). That’s lousy news for the hobbling Web giant, which is in the middle of navigating its acquisition by Verizon. The rest of us will probably go about our business; after Target and LinkedIn and countless other giant data-spills, we’ve all become pretty ¯\_(ツ)_/¯ about the phenomenon. While Yahoo struggles to clean up its mess, we should think harder about how thoroughly we’ve tied our digital lives to something as flimsy as an e-mail address/password combo. We need a better, safer, more reliable and convenient identity system. Bring on the biometrics! Wells Fargo fired its whistleblowers. It was bad enough to learn about Wells Fargo’s history of opening fake accounts for real customers to meet sales quotas. Now we’re learning about Wells employees who tried to blow the whistle on this practice — and lost their jobs as a result (CNN). That suggests a deeper problem at the bank, one that may not be solvable without some larger change. Bank critic Sen. Elizabeth Warren (D-Mass.) told Wells CEO John Stumpf, who was testifying before a congressional committee, that he should resign. Even such high-profile turnover won’t make much of a difference, though, unless somebody — a new CEO, a board intervention, shareholder revolt, all of the above — sets out to change a company culture that clearly took a wrong turn. Machines and people, happy together. AI can mean “artificial intelligence,” but the “A” can also stand for “augmented” — the bolstering of human intelligence with data, algorithms, and machine learning. One field that’s already benefiting from this idea is design (Autodesk Redshift). Urban planners are simulating cities’ growth patterns (think SimCity, but with real data and real-world complexity); auto designers are taking data from sensors mounted on prototypes, feeding it into their design models, and reworking their plans based on that input. Production can also take advantage of augmented-intelligence techniques: In factories, human workers can oversee or collaborate with robot fabricators. Are we entering an “Augmented Age” — or just transitioning to a future where machines take over for us? Either way, expect plenty of dislocation. Featured in NewCo Shift: Founder Real Talk From the Edge. Entrepreneurs suffer depression, too. Sean Percival talks about why, and what to do about it. Want to follow the biggest story in business? Get our NewCo Daily and Weekly newsletter!